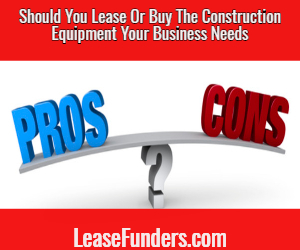 Equipment leasing is a great solution for construction companies that need new or used construction equipment. There are a number of advantages to choosing to lease your new construction equipment rather than obtaining a loan to purchase it outright. Lower Cost. Compared to construction equipment loans, leasing has much lower upfront costs. Most equipment leases will not require a large down payment, unlike most loans that require 20-30% down. Tax benefits. 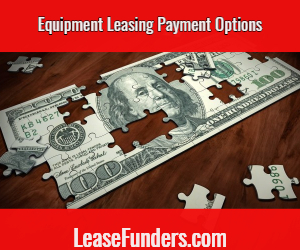 Because of the HUGE tax advantages you get with equipment leasing. Many construction companies find that monthly lease payments are much lower than loan payments as well. Increased Flexibility. 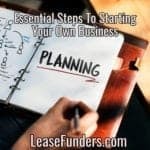 You don’t have to do a lease to own leasing plan. If you only need equipment for a single project, purchasing it outright will likely leave you saddled with loan payments long after it’s complete. With equipment leasing, you can choose to lease the equipment for a few months and then return it. Or you can even extend your lease if the project is taking longer than expected. Fast Access. Obtaining a brand new piece of equipment financed through a loan can be a lengthy process. By comparison, you can lease a equipment in very little time. Low Monthly Payments. Allow even the smallest contractor to lease a large piece of equipment. Looser Credit Requirements. Having bad credit isn’t a barrier to getting approved for an equipment lease. You just need to make sure your lease provider can work with your credit score. 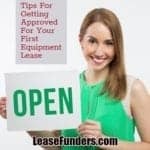 Not all equipment lease companies will approve bad credit. So do your homework before blindly applying online. 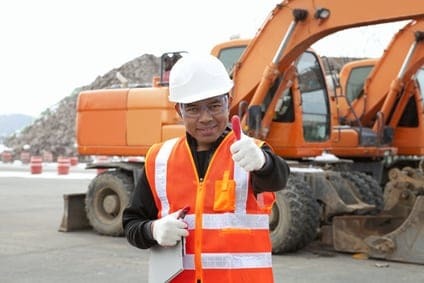 If you need a construction equipment lease, please review our bad credit equipment leasing page! Fair Market Value Leases. 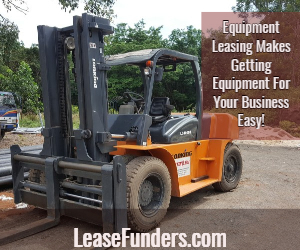 With this type of lease, you can use the piece of equipment for a set number of months and then decide whether you wish to renew the lease, return the equipment, upgrade to a new piece of equipment, or buy the equipment for the current fair market value. 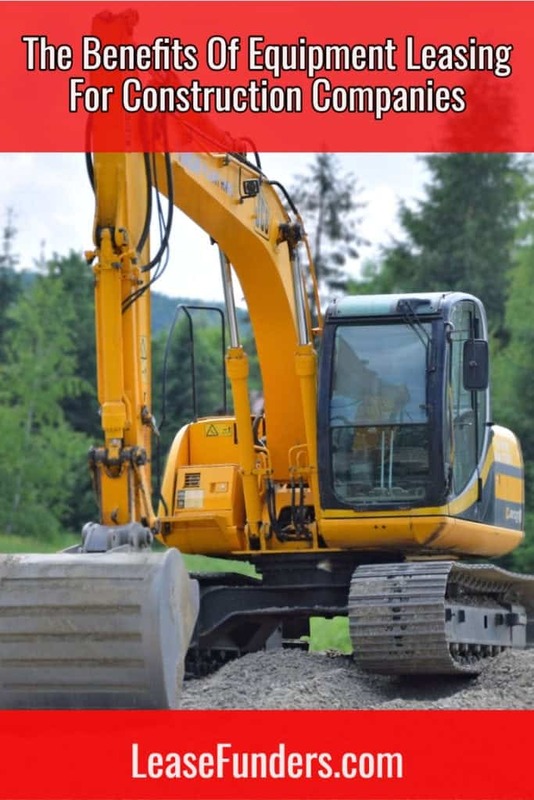 This option is ideal for construction equipment that is likely to depreciate quickly, as the cost to purchase at the end of the lease will usually be significantly lower than the initial purchase price would have been. Dollar Buyout Leases. With this type of lease, you pay a higher monthly payment amount but can purchase the piece of equipment at the end of the lease for just $1. This type of lease is ideal for equipment that you know you are going to use for long periods of time. 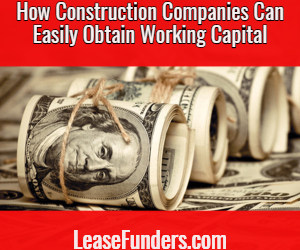 Already Own Construction Equipment But Need Working Capital? An Equipment Sale Leaseback (aka secured business loan) is EXACTLY what you need! With this type of agreement, you use the equipment as collateral for the loan. You can use the loan proceeds anyway that you want. Then, you make monthly lease payments as you continue to use the equipment. Most lenders will only do a sale leaseback on titled equipment. 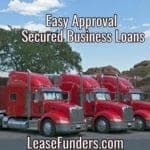 But here at Leasefunders.com, we will do a secured loan using titled and untitled equipment. For equipment that is not titled, we require copies of the original bill of sale. The best types of equipment are construction or industrial equipment. Equipment that doesn’t maintain its value is NOT going to be approved. Equipment that we will not do an equipment sale leasback on include: restaurants, computers, servers, gym or salon equipment. I wanted to thank you for going over some benefits for having lease options for construction equipment. I didn’t know that there could be different kinds of leasing programs, so there are a lot of options a company can pick. That said, it seems important to know the details of the leasing programs to understand which ones would be ideal for certain situations. Thanks for visiting! Yes, there are a lot of different ways to finance construction equipment and we are happy to offer them all to our clients! We also have some off lease used construction equipment if you would like to join our mailing list, we will send out weekly emails with available construction equipment we have for sale!